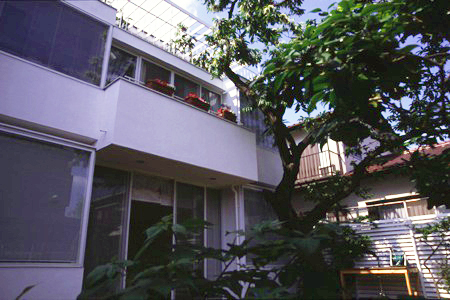 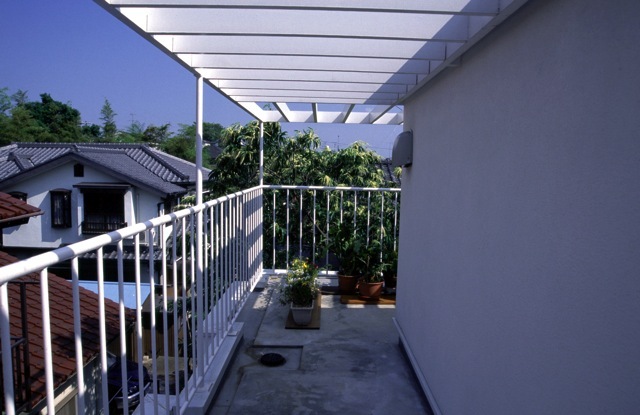 The House in Setagaya is the composition of 2 household dwelling which overlaps with two layers. 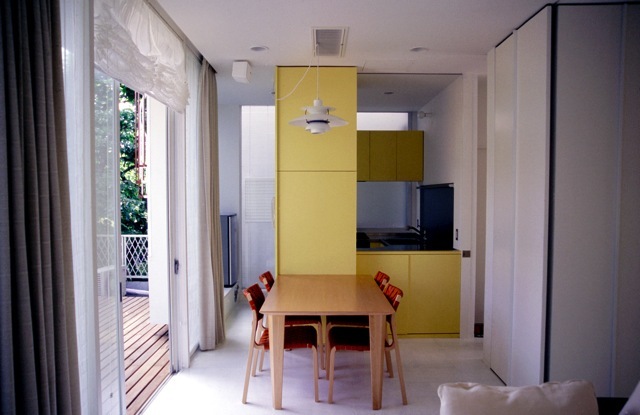 In consideration of the sunshine of the first floor, ceiling quantity was made high and the window was opened to the limit of a ceiling. 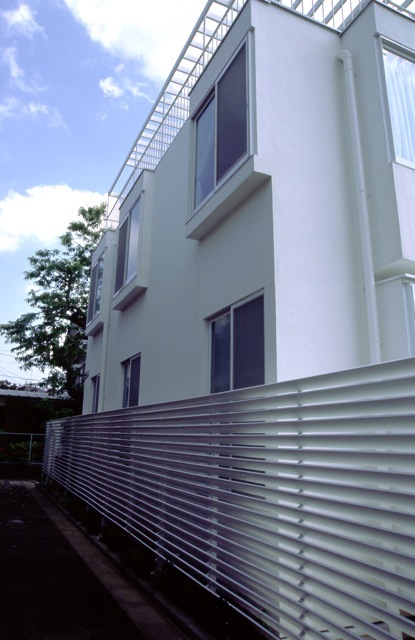 The bay window built the expression of a building while earning something extra on severe conditions to the overhang using not counting in the building coverage.